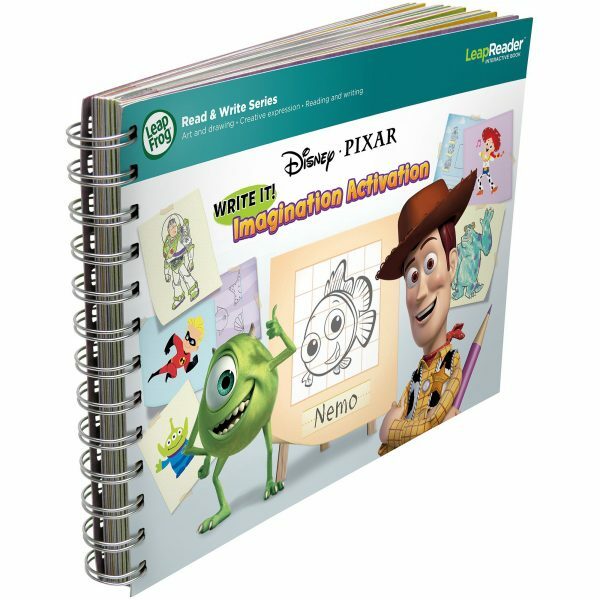 Home / Reading & Writing / LeapFrog LeapReader Read & Write Activity Book, Disney/Pixar Write It! Children join Nemo, Woody, Dash and Mike Wazowski as they learn to trace shapes, draw pictures and even create their own Super hero. 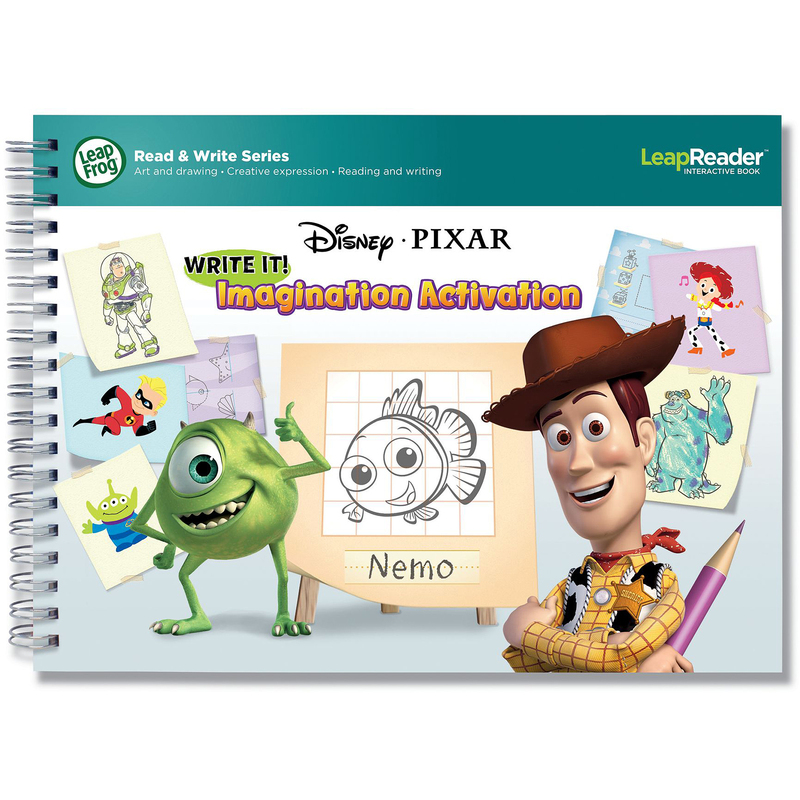 Relive the magic of Finding Nemo through his heroic story in Nemo’s very own words! Follow everyone’s favorite clownfish, and learn to draw a fish friend in three simple steps. 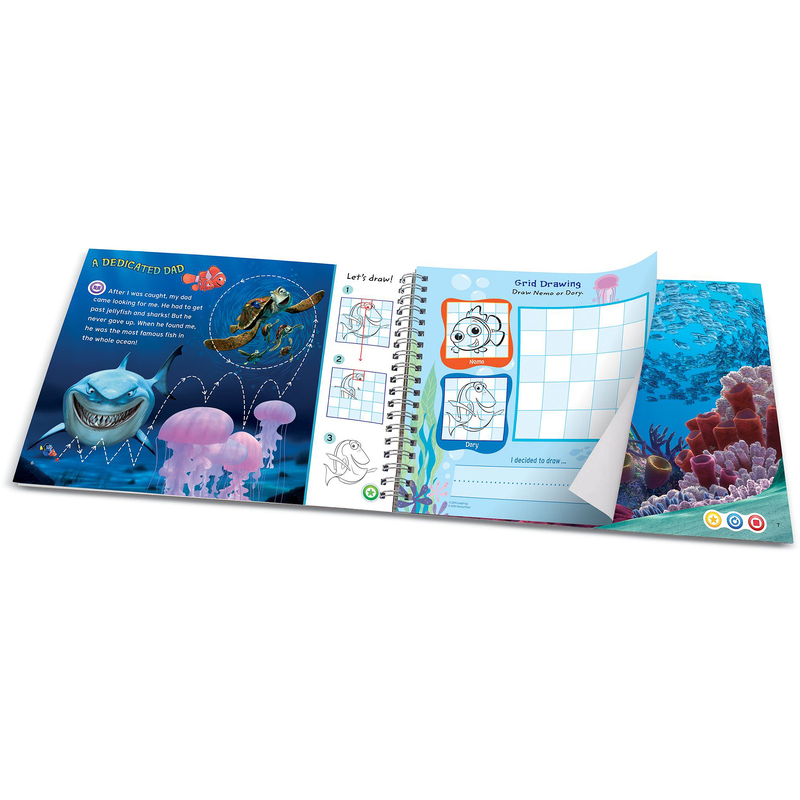 Drag the LeapReader pen to explore the ocean, and take a fun fish-friend personality quiz. Join the cast of Toy Story for Wild West and outer space stories. Learn to draw a cube, and then turn it into a toy. Drag the LeapReader pen to trace Woody’s lasso or Zurg’s blaster. Join Monsters, Inc., and draw eyes, noses, mouths and more to create the newest Scarer! 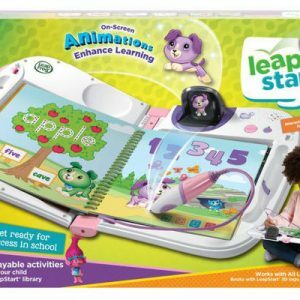 With step-by-step drawing lessons, Imagination Activation invites children to explore symmetry, perspective and grid drawing as they build visual and perceptual skills. 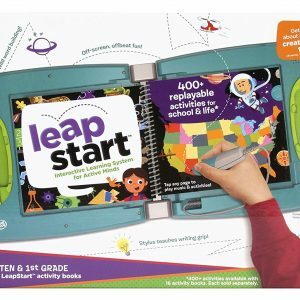 The Read & Write series inspires and supports children as they build confidence and independence in reading and writing. 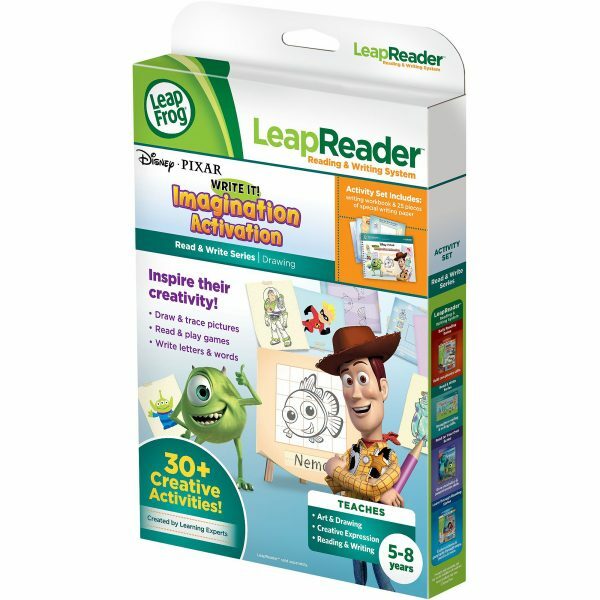 1 review for LeapFrog LeapReader Read & Write Activity Book, Disney/Pixar Write It! 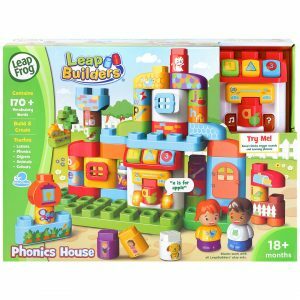 Purchased for my son to go along with his leapreader pen. 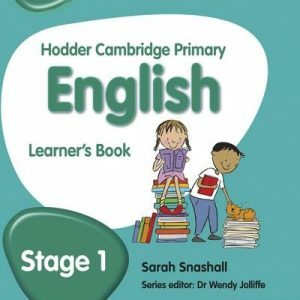 Nice book keeps my kid busy.